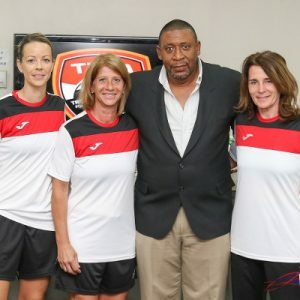 The Trinidad and Tobago Football Association (TTFA) has forced through the appointment of a new Women’s National Senior Team head coach on a technicality, despite the disapproval of half of its board of directors. In a press release today by the David John-Williams-led body, the NSO claimed that the majority of its board members agreed to select Shawn Cooper as head coach via email. 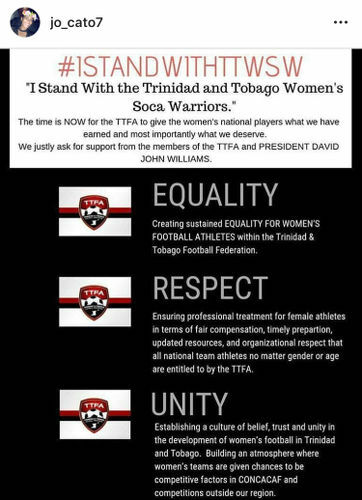 However, to achieve that majority, John-Williams ignored a quarter of the TTFA’s board, including, ironically, the sole Women’s League Football (WoLF) representative, Sharon Warrick. Photo: Presentation College (San Fernando) coach Shawn Cooper (centre) tries to satisfy a flurry of interview requests after his team’s 2-1 win over Fatima College secured their first SSFL Premier Division title at Mucurapo Road on 4 November 2017. At present, the TTFA has 12 board members, who are: John-Williams (president), Joanne Salazar and Ewing Davis (vice-presidents), Richard Quan Chan (Southern FA), Anthony Moore (Tobago FA), Wayne Cunningham (Eastern FA), Karanjabari Williams (Northern FA), Joseph Taylor (Trinidad and Tobago Football Referees Association), Julia Baptiste (TT Pro League), Collin Partap (Central Football Association), Keith Look Loy (TTSL), and Warrick (WoLF). However, Warrick, Baptiste and Partap—who all demanded that John-Williams call a board meeting to appoint a coach under article 36 (j) of the TTFA constitution—are “provisional” board members, according to the constitution. This is because their appointments were made after the last TTFA AGM, when vacancies arose in their respective positions. 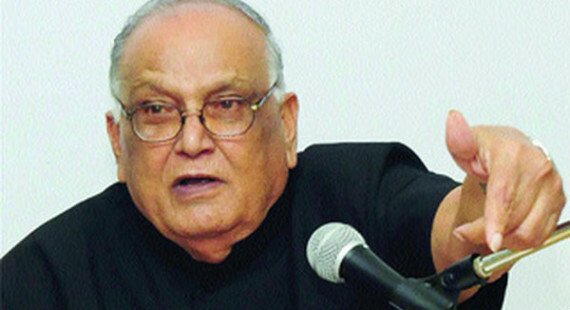 Article 34.9 states: “If the office of President becomes vacant, the longest serving Vice-President shall fill the position until the next General Meeting, when a replacement will be elected for the remaining period of office. The constitution does not say that provisional members have no voting rights. However, John-Williams appears to have interpreted it as such and ignored a quarter of his board by forcing through the decision. The football president is well aware that his interpretation of the constitution is not only debatable but was dismissed as inaccurate by TTFRA vice-president Osmond Downer, over two weeks ago. In an email to John-Williams and the TTFA board last month, Downer, who helped create the TTFA’s current constitution, stressed to the football president that he would be violating the guiding document if he tried to create a two-tiered board. Downer said the constitution was unequivocal in pointing out that honorary members did not have voting rights; and suggested it was for good reason that provisional members were not also debarred from participating in the business of the board. 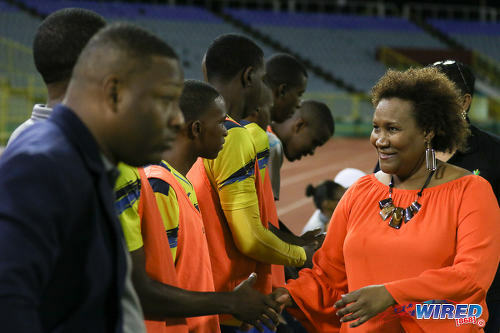 Photo: Pro League CEO Julia Baptiste (right) greets Defence Force players before kick off in the FCB Cup final at the Hasely Crawford Stadium on 20 July 2018. “It should be abundantly clear that the ‘provisional’ members currently on the board are constitutionally bona-fide members,” said Downer, “with all the rights to take part in deliberations of the board and to vote for its decisions and be counted in the determination of a quorum for Board meetings. 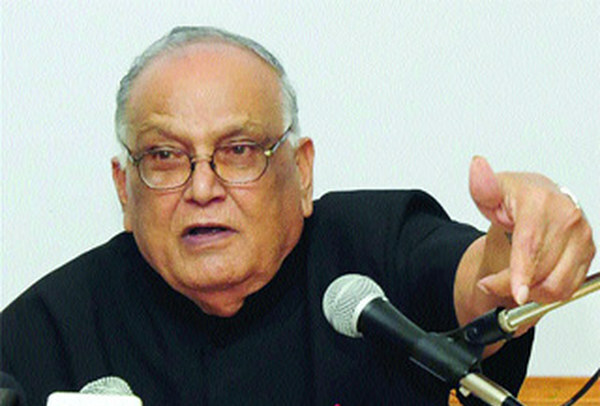 “[…] If the office of the President becomes vacant and is filled ‘provisionally’ by the Board until the next General meeting according to article 34.9, will this ‘provisional’ President not have a vote and a casting vote (article 37.2) at board meetings? “Now, significantly, nowhere in article 34 does it state that the ‘provisional’ members on the board shall not have a vote at meetings of the board. The framers of the constitution of the TTFA had never intended that these ‘provisional’ members would not have the right to vote. 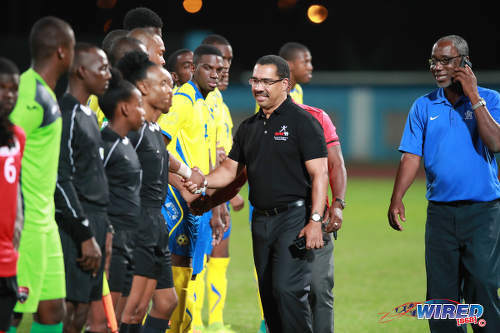 Photo: Then SPORTT CEO Adam Montserin (centre) greets players and officials before kick off between Trinidad and Tobago and Barbados at the Ato Boldon Stadium in Couva on 10 March 2017. 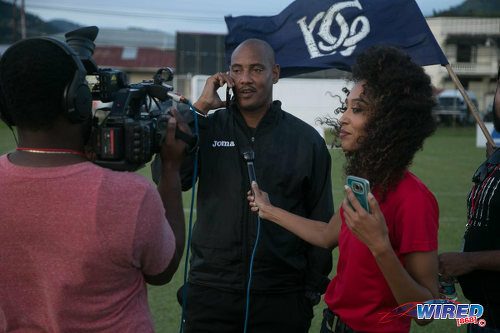 TTFA vice-president Ewing Davis (right) broke away from the customary pre-game ritual to take a phone call. Once John-Williams disenfranchised a quarter of the TTFA board, he declared victory based on votes by Quan Chan—who was voting on his own proposal—his two vice-presidents, Moore and himself. Moore, the Tobago representative, was the sole independent vote to appoint Cooper via email. The representatives from the Northern FA, Referees association and Super League took exception with Quan Chan’s proposal and requested a board meeting. Latapy-George’s email inferred that Warrick, Baptiste and Partap had full rights as board members, thereby allowing them to invoke article 35.1 of the TTFA constitution, which states: “The President shall convene the meetings of the board of directors at least once every two months. Moreover, if 50% of the members of the board of directors request a meeting in writing, the President shall convene it within ten days. Latapy-George, who is effectively the CEO of the local football body, urged John-Williams to respond to his board. 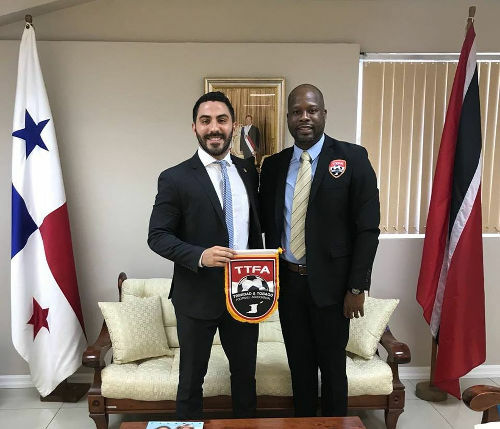 Photo: TTFA general secretary Justin Latapy-George (right) poses with Panama ambassador Luis Cigarruista Vargas. 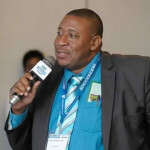 If John-Williams holds on to his own interpretation of the TTFA constitution, it is possible that he would also refuse to recognise the request from the seven board members—inclusive of three provisional members—for a meeting to discuss: the appointment of a technical staff to the Women’s National Team, the status of the Men’s Under-17 and Under-20 teams, and refereeing issues previously tabled by the TTFRA. Notably, Look Loy has also raised a motion for the dismissal of John-Williams as football president, which must be tabled at the TTFA’s AGM later this year. 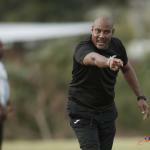 The football body’s release also aimed its guns at Women Soca Warriors manager Jinelle James for requesting funding from the Ministry of Sport and Youth Affairs. 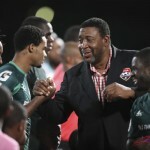 Although the National Senior Team still has not finalised its preparation for next month’s Concacaf Championships and the majority of the TTFA’s programmes—barring the controversial Home of Football project—are now dormant, the John-Williams-led body suggested that it preferred to seek an alternative source of funding to Sport Minister Shamfa Cudjoe. 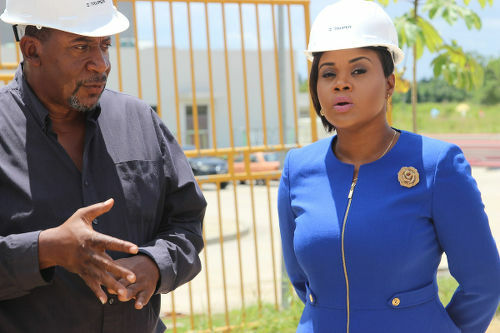 Photo: Sport Minister Shamfa Cudjoe (right) and TTFA president David John-Williams inspect the Home of Football project in Couva on 20 August 2018. 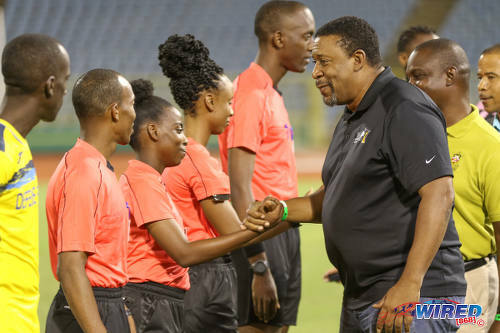 The TTFA statement further claimed that the John-Williams-led administration has “fully funded” the Women’s Under-15, Under-17, Under-20 and Senior programmes for the past two and a half years. And it pointed to 19 international matches played by the Women Warriors during that time. 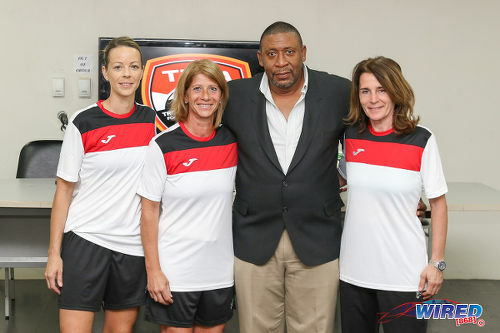 In truth, the TTFA owes at least half a dozen coaches involved in the women’s programme over that period including: Carolina Morace, Nicola Williams, Elisabetta Bavagnoli, Manuela Tesse, Jamaal Shabazz and Anton Corneal. In this same time frame, the Women’s Under-20 Team lost all three of its competitive matches to finish bottom of its Concacaf group, despite home advantage, while the Under-17 Team were eliminated at the Caribbean stage, and the Under-15 Team were forced to forfeit their competition altogether, due to the TTFA’s late application for US visas. Only the Women Warriors have had any semblance of relative success, although its players took to social media last week to protest against their treatment by the current administrators with their own banner: #ISTANDWITHTTWSW. Photo: Trinidad and Tobago player Jonelle Cato uses Instagram to urge the TTFA to support the Women’s National Team. From the 19 games played in two and a half years, only four—two apiece against Venezuela and Panama—were warm up matches. 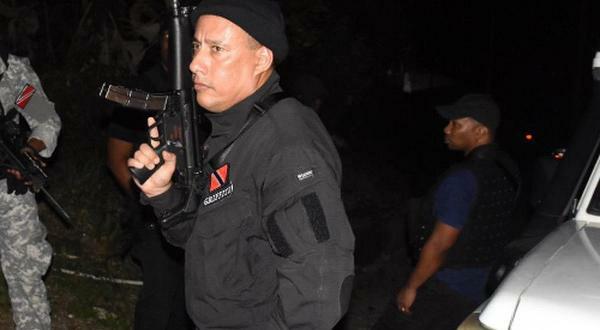 The other 15 outings were competitive fixtures with much—if not all—of the costs picked up by either Concacaf or the Trinidad and Tobago Olympic Committee (TTOC). The current TTFA administration took office in November 2015, with Women’s football high on its agenda. We honoured commitments to play in USA and accepted an offer to play in Brazil, and then set about an ambitious plan to hire a full time professional staff, and put our top local based players on retainer contracts. It should be noted that the Women’s program has been fully funded by TTFA over the past two (2) years, and this includes U-15, U-17, U-20 and Senior Women’s teams. 1. No approach was made for an overseas camp to the TTFA’s General Secretariat nor President by the team manager, prior to nor at the time of postings made on social media by players on Wednesday 12th September 2018. The only request for a Camp from the manager was first made on Friday September 14th 2018, two days after the postings (see correspondence attached). 2. Given the current economic climate, the TTFA did not initially approach Government for funding for the women’s team for upcoming qualifiers, as it is currently seeking alternative financial support. 3. In terms of preparation, the TTFA has ensured the Womens Senior team participated in nineteen (19) international matches in the last eighteen (18) months, the most for any T&T national women’s team. Matches Played: Venezuela (2); Panama (2); CFU Challenge series (3); CFU qualifiers (4); CAC games (4); Concacaf qualifiers (4). To their credit, the interim coaching staff (which included Assistant Coach, Shawn Cooper) has continued training with the national women’s team, since their return from Jamaica, despite the circulation on social media. 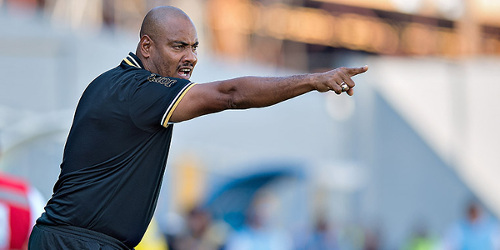 Photo: QPCC head coach Shawn Cooper gestures from the sidelines during the 2015 CONCACAF Under-17 Championship. The Head of the Technical Committee on the advice of the Technical Director and team manager, made a recommendation to confirm Mr Shawn Cooper as Head coach of the team for only the Concacaf final Round to be held in the USA. To expedite the process, The Head of the Technical Committee and Board Member prudently round robin the recommendation for Board approval. Of the nine 9 eligible voting members on Board, five 5 gave approval of the recommendation, 1 abstained and 3 did not approve of the round robin process. Mr Cooper has been since been (sic) confirmed to the position. The following is a breakdown of monies spent on the Senior Women’s Programme only from November 2015 to date. (Note: under the current administration, it is the first time women’s national players were given retainer contracts). 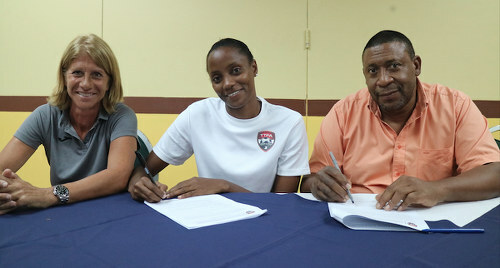 Photo: Trinidad and Tobago Women’s National Senior Team captain Tasha St Louis (centre) signs a one year monthly retainer contract alongside TTFA president David John-Williams (right) and head coach Carolina Morace on 27 March 2017. 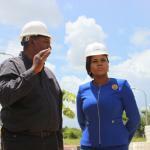 The TTFA continues to work in the best interest of Trinidad and Tobago Womens football. 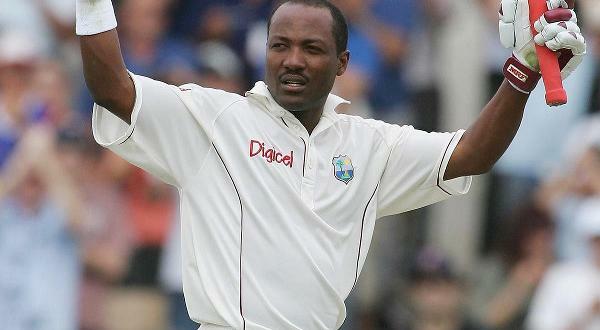 Editor’s Note: Click HERE to read stinging response from Women’s Team manager Jinelle James. My guess is that DJW’s credibility has been substantially enhanced by this latest move; one more slick move of this sort should give him another substantial boost, bringing his credibility percentage rating to somewhere near double figures..